Tanzania offers a unique opportunity to experience the classic, East African safari that is reminiscent of Ruark and Hemmingway. It’s also one of the last places where you can enjoy the wild Africa that is synonymous with the word “safari”. Tanzania offers a full range of game, from the diminutive gazelles to the Big 4 (Elephant, Buffalo, Lion and Leopard) and everything in between, making it the best choice for a classic, full-bag safari. Our hunting outfitter has exclusive rights to several top Tanzanian areas, including blocks in the Selous, Rungwa and Masailand, as well as Lukwika, one of the best Elephant areas in Africa. He offers classic 16 and 21 day full bag hunts that include Lion, Leopard, Buffalo, Elephant, Hippo, Croc and plains game as well as affordable 8 and 10 day Buffalo hunts in his Kilombero area. His camps, food and service are superb. Of all the African hunting countries, Tanzania is without a doubt the one that most stimulates the imagination of hunters and non hunters alike. This former German colony once known as Tanganyika became an English territory after the First World War. In 1964, along with new found independence, its’ name was changed to Tanzania. Tanzania has long been considered the ultimate hunting safari destination in Africa. Fulfilling the dream of a traditional big game hunting safari, the likes of which so many hunters have read about, continues to be a big draw to Tanzania unspoiled wilderness. Tanzania enjoys a beautiful coastline along the Indian Ocean and shares borders with Kenya and Uganda to the north, Rwanda, Burundi and the Democratic Republic of Congo to the west, Zambia and Malawi to the southwest and Mozambique to the south. Tanzania is home to a wide range of African wildlife and still allows the hunting of four of the famous Big Five species; Elephant, Lion, Buffalo and Leopard. And it’s no wonder with over 40 species to hunt, including some of the best big game hunting found in Africa. 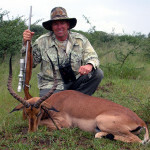 The wildlife of Tanzania includes an enormous variety of potential hunting trophies such as Cape Eland, Roan Antelope, Roosevelt Sable, Greater Kudu, Lesser kudu, Coke’s Hartebeest, Lichtenstein’s Hartebeest, Western Hartebeest, Topi, Fringe Eared Oryx, Brindled or Nyasa or Blacked Tail Gnu, Common Waterbuck, Defassa Waterbuck, Situtunga, Common Reedbuck, Bohor Reedbuck, Impala, Grant’s Gazelle, Robert’s Gazelle, Thomson’s Gazelle, Waller’s Gazelle, Common Duiker, Peters’ Duiker, Kirk Dik-Dik, Klipspringer, Oribi, Bushpig, Warthog, Hippos and Crocodiles are also hunted. Tanzania also hosts a large population of Cheetahs as well however they are fully protected and may not be hunted. The trophy quality is outstanding and many trophies taken have qualified for prestigious awards in Safari Club International. 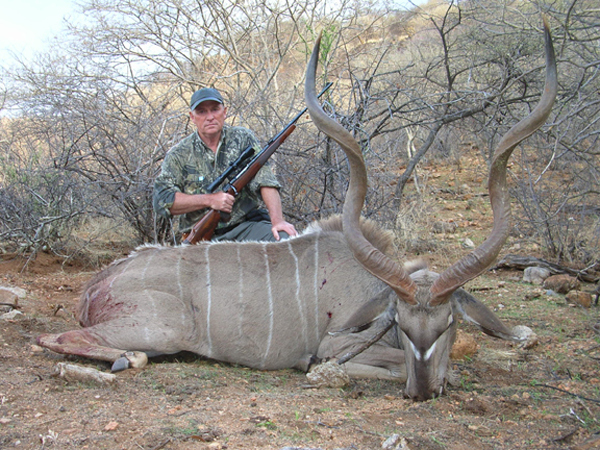 Over 150 hunting concessions are distributed throughout Tanzania and shared amongst the forty plus outfitters licensed to conduct tourist hunting. Within these areas, the Tanzania hunting territories are immense in accordance with the vastness of this country. They can cover up to a million acres, in some cases over two million acres… In Tanzania the hunting territories are open, not fenced. 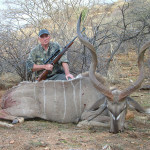 The land is leased to predominantly foreign hunting outfitters which ensure their management and maintenance. 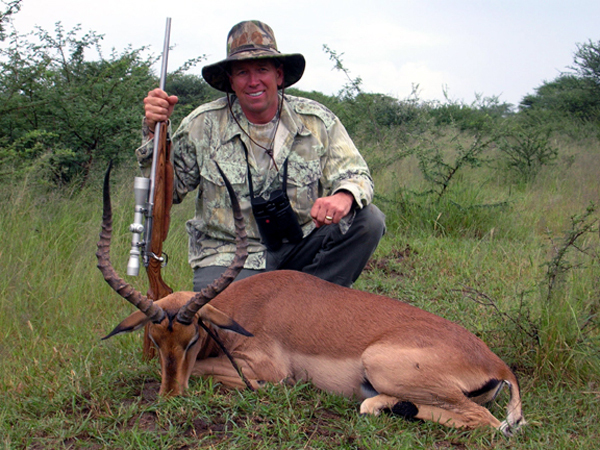 There are dozens of hunting outfitters in Tanzania of which the large majority are French, South African or Zimbabwean with some English, American, Spanish and Italian hunting outfitters as well. Most of the Tanzanian terrain consists of shrub savannah, dry and green grassy savannah, broken up by areas of somewhat dense forest. In some regions there are Sahelo-Sudanes zones such as in the northern most part of Masa land which can be very dry and semi-desert like. In the Selous region some of the forests can be quite dense. The overall terrain is generally flat and offers little difficulty other than in the Masai country where some areas can be quite rugged. Hunting in Tanzania is done on foot but given the vastness of the hunting concessions, it is often necessary to make long journeys by car. 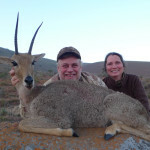 There are many well established hunting companies that usually hold many hunting blocks and whom provide outstanding professional service, uncompromising quality of superbly equipped and comfortable tent camps and well maintained four-wheel drive custom designed safari hunting vehicles. The temporary camps/facilities are erected prior to the start of the hunting season and removed in accordance with the hunting regulations at the end of the season. All include electricity and often modern communications such as satellite phone, even satellite TV as well. The western style cuisine is often of high quality. For the Selous and the central and western areas, the hunting territories can only be reached by plane. The flight from the capital, Dar-es-salaam, is on average one and a half to two and a half hours. For the Masai land, hunting areas are reached by car from Arusha, a journey that normally requires three to four hours. 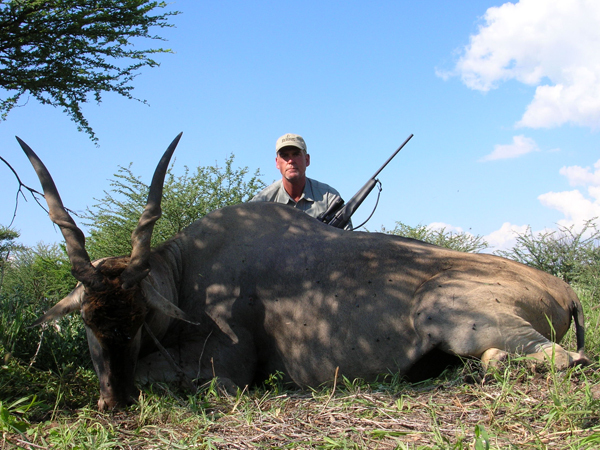 We look forward to helping make your Tanzania hunting adventure the best it can be!